GARDAÍ have released a young man who was being questioned as part of the investigation into the murder of Cork pensioner Joe O'Callaghan (66). The 22 year old man was released from Togher Garda Station without charge. He had been questioned about the circumstances in which Mr Callaghan was found dead at his Cork home at 8am on Monday. The young man - who turned 22 today - presented himself voluntarily at Togher Garda Station a few hours after Mr O'Callaghan's body was found by his shocked wife, Angeline. He was questioned under Section 4 of the Criminal Justice Act. The young man was known to Mr O'Callaghan. A file on the matter will now be prepared for the Director of Public Prosecutions (DPP). 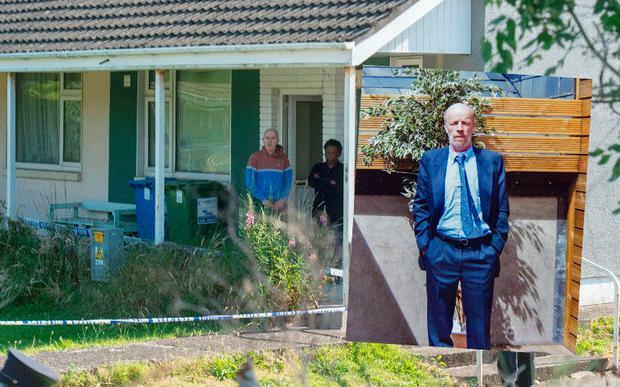 Gardaí launched a murder investigation following the findings of a post mortem examination conducted on the pensioner found in a pool of blood at his Cork home. Mr O'Callaghan was found at his home off Galway's Lane in Douglas, Cork at 8am on Monday when his Zimbabwe-born wife arrived home from working a night shift. Gardaí have refused for operational reasons to release the results of a post mortem examination conducted on Mr O'Callaghan at Cork University Hospital (CUH) by Assistant State Pathologist Dr Margaret Bolster. However, it is understood to have found the pensioner met a violent death early last Monday. One source indicated the 66 year old father of three had sustained very severe head injuries. The Director of Public Prosecutions (DPP) has been briefed on the preliminary findings of the post mortem examination conducted at CUH by Dr Bolster. One garda source described the investigation as "extremely sensitive and quite complex." Gardaí said they were "very pleased" with the information obtained from neighbours and friends of Mr O'Callaghan. Detectives are continuing to trawl through CCTV security camera footage to determine movements to and from the Galway's Lane area which is located directly beside Douglas GAA club. The body of Mr O'Callaghan, a father of three originally from Grange in Cork, was discovered in his bungalow at 8am on Monday by his shocked wife, Angeline. Nothing appeared to have been taken from the property. However, there were indications the front door had been forced. The pensioner was lying in a pool of blood in the hallway with blood spatters found in two other rooms of the property. Gardaí do not suspect a weapon was used. Mr O'Callaghan's sister, Sheila Thornhill, appealed at the scene for people to now support the Garda investigation. "We are all shocked - find whoever did it to him," she pleaded. Mr O'Callaghan's wife, Angeline, had moved to Ireland from Zimbabwe a number of years ago. She made the grim discovery having returned to the Galway's Lane property having completed a night shift at work. A neighbour, who asked to be unnamed, said he heard shouts of 'Open the f***ing door' around midnight but then presumed a loud bang was Mr O'Callaghan slamming an internal door and ending the matter. Another neighbour reported seeing a young man, in dark clothes and with dark hair, acting suspiciously not far from Mr O'Callaghan's home on Sunday night. Garda Technical Bureau members from Dublin have now completed an examination of the bungalow. A Garda dog unit was also deployed to Galway's Lane to examine the area surrounding Mr O'Callaghan's home. Mr O'Callaghan was said by one neighbour to have "lived on the fringes" for many years. He was regularly seen out socialising in Douglas pubs. Neighbours had complained to Gardaí a number of years ago over late night parties being staged by Mr O'Callaghan at his home. Locals were also concerned by some of the people who would attend Mr O'Callaghan's parties. Mr O'Callaghan had been resident in the quiet Douglas cul de sac for five years having previously lived in Rochestown and Grange. His family said he had battled health issues over recent years.